It’s not a question of when, but instead how your company’s data will become infected. This is no slight to your SecOps team; in a recent survey of 2,000 of the world’s top IT decision makers half said that they have experienced a data breach, one third of them suffered data breaches in the last year. And it’s less than a year since the UK National Health Service’s system was overtaken by ransomware, leaving critical medical information suspended for cryptocurrency. From WannaCry to notPetya to SamSam, your company’s mission critical data can fall prey to Distributed Denial of Service (DDoS) attacks or Advanced Persistent Threats (APTs), even phishing emails and file attachment malware, with a few ignorant clicks from one of your users. 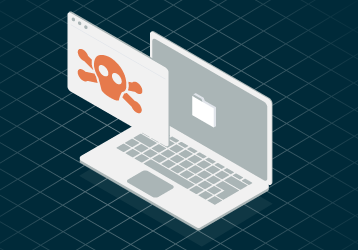 On-Prem and SaaS are equally as vulnerable to malware. While SaaS providers secure the cloud, they are not responsible to secure your data in the cloud. As a tenant (user) of the cloud, you need to craft a cloud storage security plan that works for your enterprise so working with Microsoft or Google to recover your lost or infected data doesn’t create more business downtime. Can ransomware infect cloud storage? Oh, yes. 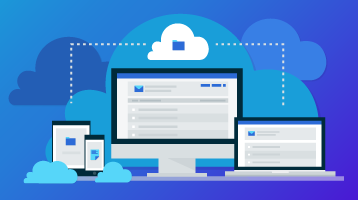 If you get ransomware on your local laptop and connect to a cloud data sync like OneDrive sync, the ransomware encrypts the data on laptop, syncs to the cloud, and infects the cloud. Collected data sets are not safe from ransomware. Microsoft makes sharing data easy--for everyone. Sharepoint sync allows data sets accessed and connectionware allows the virus to take advantage of the permissions and metadata from the encrypted files and infect more servers. Watch this webinar to learn how to protect your mission critical data from Ransomware in Office 365. Preventing business downtime is the main driver for all Enterprise backup solutions. Your CEO knows that downtime is bad, but do you know how bad, where you’re affected, and the cost per hour of downtime? Accounting for the cost of employee salaries, possible overtime for the IT team, loss of service for users that you may be required to refund, not to mention network bandwidth that is being used for data restoration rather than providing value to your users, and you’re looking at about $10,000 per hour of downtime. Anything you can do at that point to minimize your enterprise downtime would seem prudent. This is why enterprise cloud backup solutions that create independent second copies save businesses hit by malware hundreds of thousands of dollars. If HHS is specifically asks for healthcare IT backup solutions, don’t think that they will take a violation of data security or accessibility to important healthcare and medical information lightly. Healthcare IT professional must take proactive steps for cloud storage security. Starting in May 2018 organizations with EU employees and markets are subject to the GDPR’s data protection and data privacy rules, with a fine of up to 4% annual global revenue for violations. Cloud data security solutions for SMBs like Backupify provide full visibility into security requirements so you can assess for potential data threats and provide data protection with a cloud data backup plan. What is Your IT Disaster Recovery Plan? Do you have a backup for data in the cloud? Let’s put this another way--when your CEO walks in at 10:30 am and says she thinks her computer has a virus, do you want to tell her “I think I have a solution” or “I know what to do. Give me 20 minutes.”? As we discussed before, downtime is money--lots of money, tens of thousands of dollars. Call Microsoft or Google and how quickly do you think they’ll respond? Do you want to chance that others are experiencing a similar issue and you are one of thousands waiting on a global cloud company to respond to your SME? The only way to ensure cloud data availability in the case of an IT disaster is a cloud data backup solution. Backupify for the cloud has failsafes in place to prevent business downtime with point in time snapshots for all data points captured, search and discovery tools to give you instant accessibility to affected files. 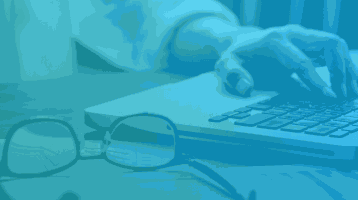 Direct tech support any time of the day, 365 days a year makes Backupify a resource your IT team can depend on, no matter the malware or ransomware challenge. Your mission critical data is accessible, searchable, and safe from ransomware destruction. Backupify takes about 5 minutes to get up and running and is customizable for your environment and operational needs. Reduce risk of re-infection by having your data safely stored in Backupify.